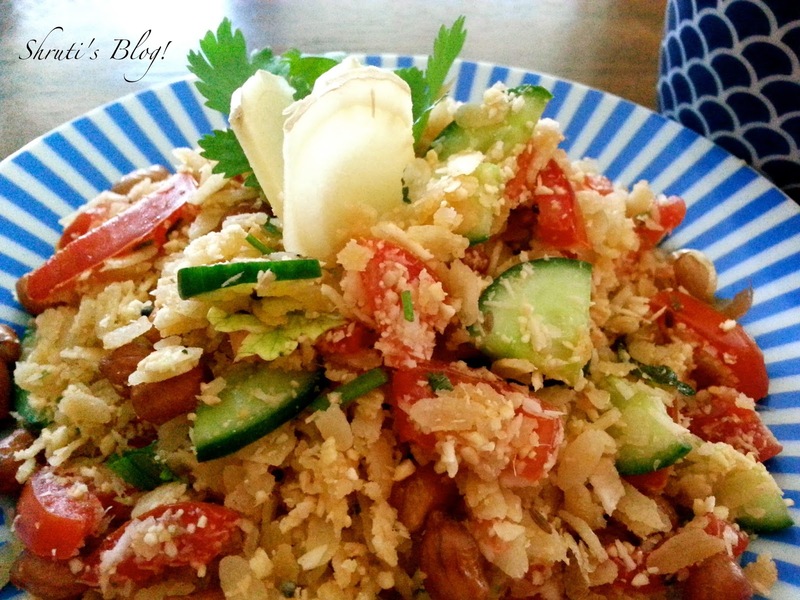 Ale Pak Pohe – “Beaten rice salad with an overdose of ginger”! I think almost every major city in the world has a restaurant called Blue Ginger. As it does a Red Lobster. I always wondered why red lobster – and since I have never cooked lobster, I had to wait for Google to appear on the scene before I could see how poor crustacean was ‘red’. That was one mystery solved. In the same way, I wonder about blue ginger. Have you ever seen this variety? The only time I have seen something blue related to ginger is when ginger or garlic or ginger and garlic pastes -that I so self-righteously make- turn blue-green and then I am under great pressure to finish them up. So, is the ginger blue only for the snob value? Is that why ginger costs an eye-popping $30 a kilo in Australian supermarkets? It’s ironic that this rudimentary rhizome has such elitist appeal. Ginger is meant to be zinger, like the julienned ginger on dal makhni, or the subtle undernote in Aai’s amla chutney or the not so subtle ginger bits in her green chilli and lemon pickle. And what good is the ‘alepak pohe’ and sugar cane juice you get in Belgaum without ginger! Working from home has many benefits – such as fixing the husband and myself a plateful of cool alepak pohe on a warm day. I must mention that this is my take on the ale pak pohe – combining the elements of my mother-in-law’s famous ‘lavlele pohe’ and the gingery spice balls that come with the original alepak pohe. And of course, the overdose bit is not a joke. I actually saw this phrase being used to describe a dish, of which, ginger was but an ingredient! 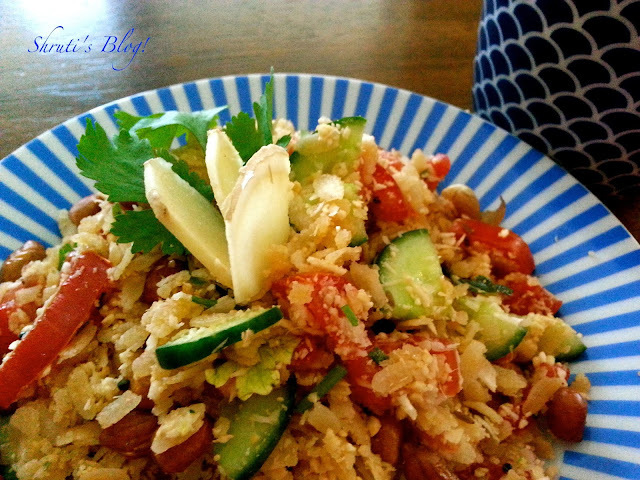 In a large bowl, mix the pohe, tomatoes, cucumbers, coconut, chopped coriander, salt, sugar and lemon juice. Keep aside covered for a few minutes. Pulse the roasted chana dal, ginger, chillies and cumin seeds in a spice grinder and sprinkle on top of the pohe. Heat oil in a small tadka pan and add the mustard seeds and peanuts. Lookout for the peanuts – don’t let them burn. Generally, the time it takes for the seeds to splutter will coincide with the time it takes to fry the peanuts – but that can change rapidly and give you a horrible heart-burning mess! Anyway, assuming your tadka has been uneventful, proceed with adding the curry leaves and hing. Take off the heat and pour it on the pohe. Toss the pohe to make sure all the ingredients are mixed well. oh wow! So yummy! I like it.